Join me for this fun and super informative workshop where we’ll spend a few creative hours of learning how to “paint” with wool! 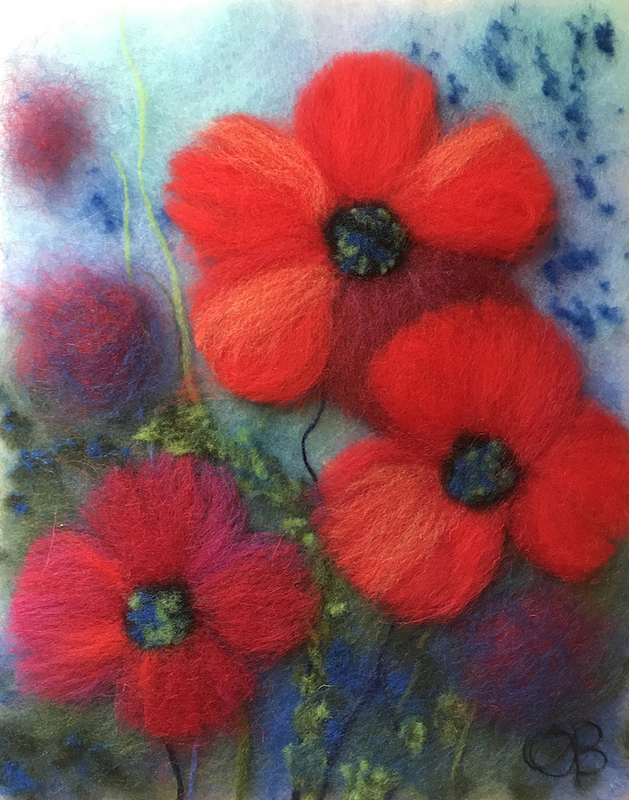 I will guide you through the process of wool painting which will give you the skills to create an image using wool fibers. You’ll learn how to work the wool and fashion details using various techniques; learn how to layer the strands of wool and ensure a smooth transition between colors; mix wool to form new colors; and more. The materials will be provided and include everything you need to finish the picture: broad range of dyed wool roving, frame, tweezers, scissors, quilted paper padding, and stencil. You will work at your own pace and I’ll be able to provide everyone with one-on-one assistance as desired. You’ll go home with a finished project, framed and ready to displayed on your walls and you will also have the knowledge to keep on creating more wool pictures at home. Light snacks and great company provided! I can’t wait to hang out with you! To pay for a class, you can use cash, check or credit card when you arrive in the classroom.